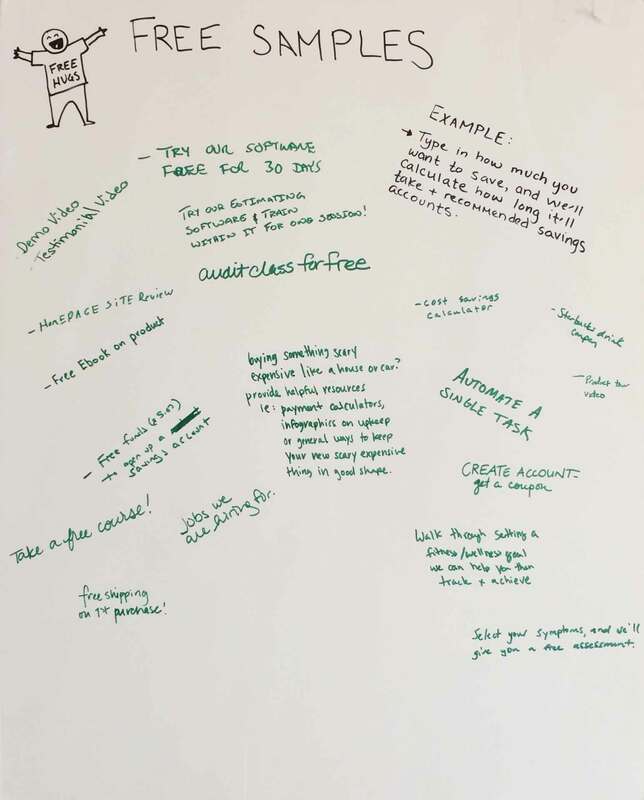 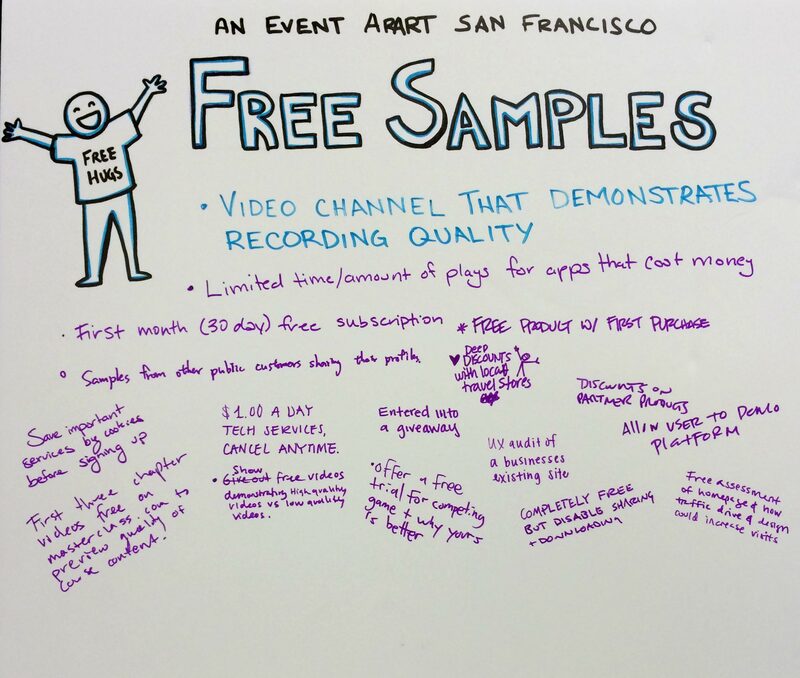 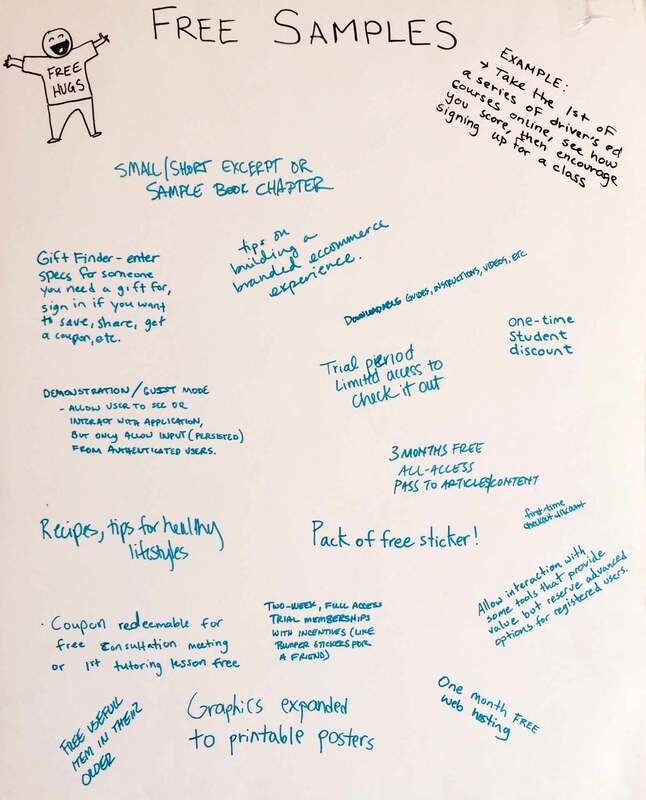 Attendees of my “New Users Matter, Too” talks have graciously brainstormed ideas for free samples–experiences that allow new users to interact with a portion of a product’s value proposition before committing to an account. 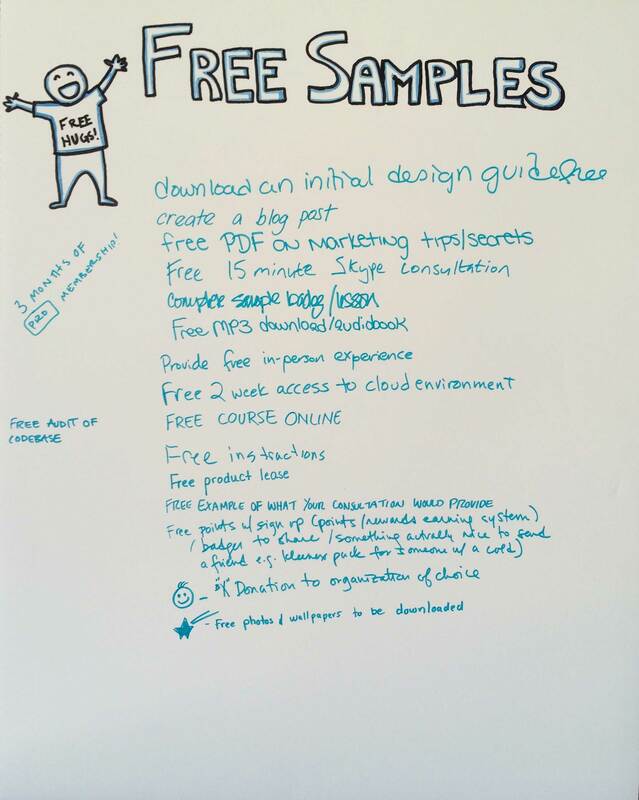 These methods can increase valuable signups and reduce the walls that prevent conversion. 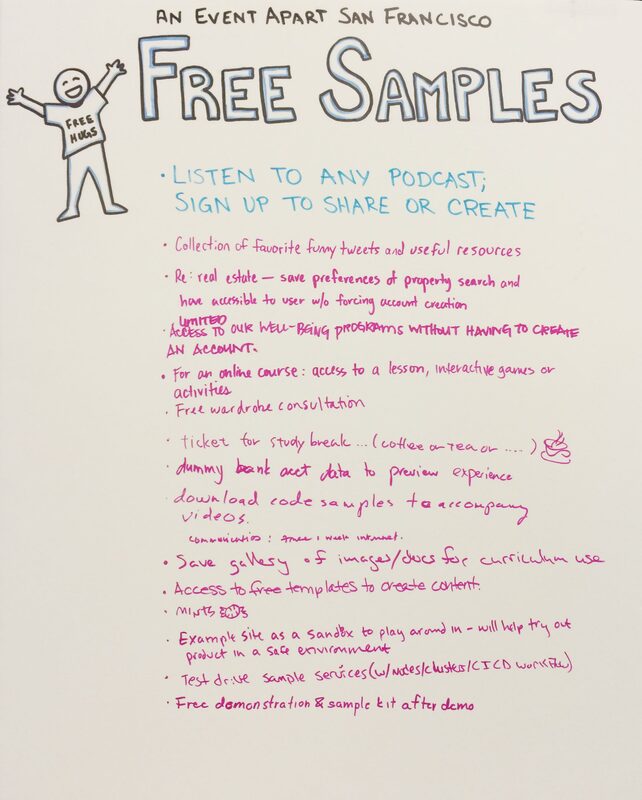 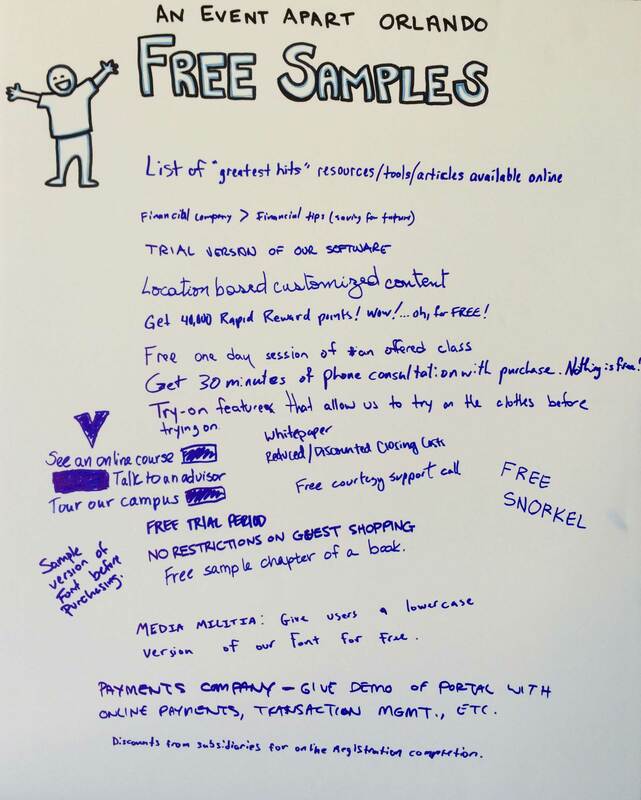 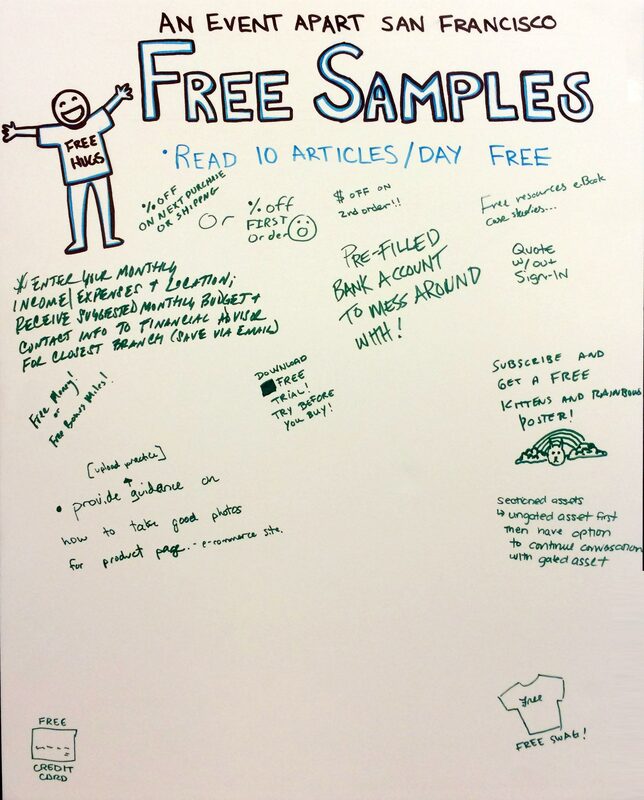 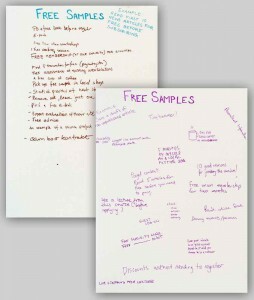 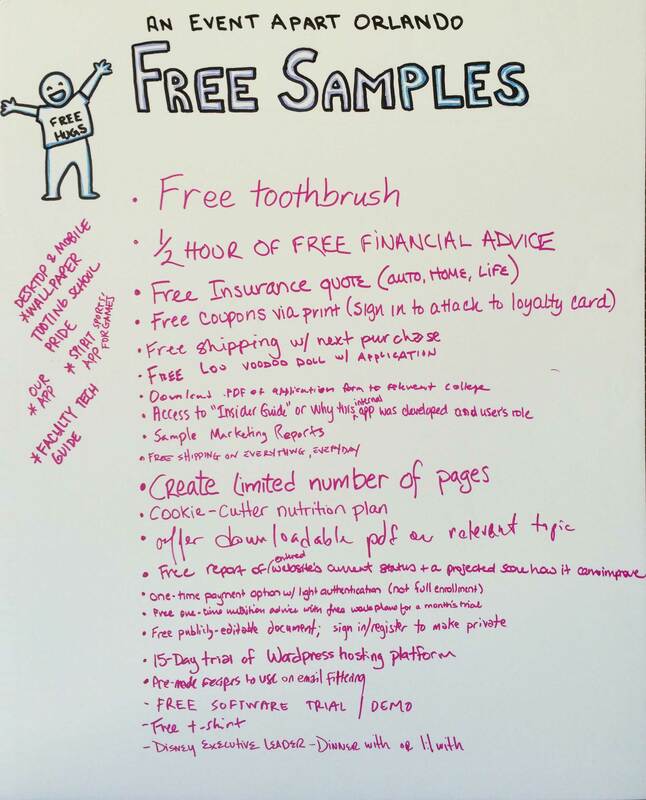 Use these ideas to kickstart your team’s exploration of a free sample that’s right for your product.